We provide training to caregivers, and keepsakes along with follow up support to families through an intricate network of volunteers, all of which are funded by generous donations from the communities in which we serve. No parent should suffer the loss of a baby alone. We are devoted to validating each child's life. Our purpose is to lend guidance on the path to healing.
" While in the hospital, we were introduced to Rachel's Gift and the resources they offered to grieving families. If it wasn't for these amazing people, we would have not only returned home with empty arms and an empty crib, but we would not have all the precious keepsakes they provided in his honor. In a moment we lost everything. Having items dedicated to him brought us so much comfort as we navigated through our grief. Because of this organization, no one has to walk this journey alone. " " In a time of tragedy where I was unable to think clearly, you came alongside my family and in a sense, thought for us. You helped us to live without regret by encouraging us to hold our baby and spend time with him. You also provided pictures, handprints, footprints, and other keepsakes that we wouldn't have if Rachel's Gift didn't exist. My husband and I are very grateful for all of the things that you provided to help us grieve in a healthy way. " " Prior to partnering with Rachel's Gift, we felt that our mothers experiencing a loss were lacking in support. 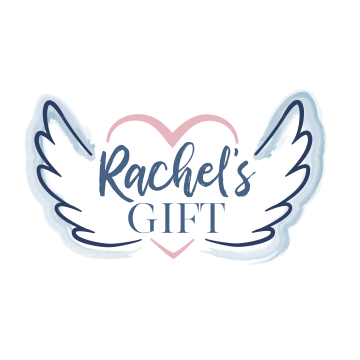 We lost our part time Perinatal Loss Coordinator to budget cuts, and Rachel's Gift has more than filled that gap in services. Our staff now feels that we are providing the best possible care for our loss patients, and this kind of outreach improves our image in the community. " " Very informative training; as a nursing student, this class/training should be given to nursing students while in school. Every nurse on L&D/postpartum should partake in this for the best patient care. " " I think this course should be mandatory for all nurses in contact with mothers/newborns. "